Workers compensation benefits entitles employees to collect compensation while injured in the course of performing work-related duties. Under workers’ compensation law, victims do not have to prove liability or negligence and can even collect if they are partially or fully responsible for the accident. One question that comes up frequently in workers’ compensation law is whether or not employees can collect workers’ compensation if they were involved in a car accident while commuting to work or performing work-related duties in a vehicle. Delivery drivers, truck drivers, sales representatives and other individuals who must drive for work are often victims of car accident injuries. In a recent case the Massachusetts Appeals Court held that a manager was entitled to collect workers’ compensation benefits after he was involved in a car accident on his way to work. Our workers’ compensation attorneys are dedicated to helping employees collect the benefits they are entitled to after an accident or injury. While collecting workers’ compensation does not involve proving fault, many victims may face challenges when presenting their case. Our attorneys are dedicated to helping workers collect and prepare necessary documentation to ensure compensation in an effective and timely manner. Generally, if you are injured in a car accident while performing work-related duties, you are entitled to workers’ compensation benefits. Workers’ compensation benefits are available to individuals who drive for a living, were making a delivery, or simply running errands on behalf of an employer. The Massachusetts Appeals Court has also held that a manager was entitled to compensation for injuries sustained while on a commute to work. Historically, Massachusetts workers’ compensation judges follow a “going and coming rule” that states employees who were injured on their way to work or who were injured while leaving are not entitled to workers’ compensation. In Troy Carbone’s recent Appeals Court case, a manager of a freight terminal was expected to be available by cellphone 24 hours a day. Regularly he commuted in the employer’s pickup. While the manager was in the employer’s vehicle on the way to work, a deer entered the road and he collided with a guardrail, sustaining injuries in the accident. Previous cases have tested the “going and coming rule” and have awarded employees compensation when they were injured while performing authorized activities that benefited the employer. There have been exceptions such as running an errand or having a dual purpose of being in the car. If an employee was using a company car or if the company funds the transportation costs, an employee may be entitled to benefits. 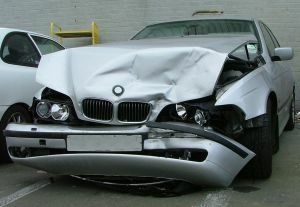 Many workers who are injured while driving on the job can also collect on third-party claims. If you were involved in an accident, a personal injury attorney can also help you review the facts, identify responsible parties and pursue additional compensation in your case. Workers’ compensation laws can be difficult to understand and complicated, depending on the facts of your case. When you are injured on the job it is important to file a claim as soon as possible. An experienced advocate can review the facts and help to prepare necessary documentation. Massachusetts Work Injuries to Increase with Improving Economy, November 28, 2013.